I’m so proud of you Chenoa. Not sure who this is, but thank you! As my son got older, I told him my story. I also told him his dad’s story. While his dad had been sober for 10 years when he died, he died from liver cancer. I’ve mentioned…in a kind way…that my son’s chances are pretty high since alcoholism can be genetic. He never saw us drink and for that I’m so grateful. Of course if I hadn’t gotten sober he probably wouldn’t have been born. That’s a very sobering thought!! I’m definitely going to read this book!! Thank you so much for sharing your thoughts about it!!!! Tracy, thanks for sharing your experience with me. Sounds like you have done good! Your son is lucky to have you as a mom! It’s a good read – I think you would enjoy it! I too have just finished reading this book and found it really interesting (book review post to follow :)), so I enjoyed reading your thoughts so thank you. In your penultimate paragraph you talk about how to talk to your children about this issue. My son is 13-years old and I talked to him briefly about this issue the other day because I don’t want to be seen as this judgmental do-gooder. It’s important that he feels safe to call me when he has drunk too much, or anything related to drink. I asked him how I could best communicate my thoughts on alcohol and this is what he said. I felt a lot happier and suddenly remembered one of the reasons I quit in the first place. Lee, thanks for sharing this! I love your son’s response – how true that is. And, he’s right. We just need to be good, responsible people for our children. Love that. 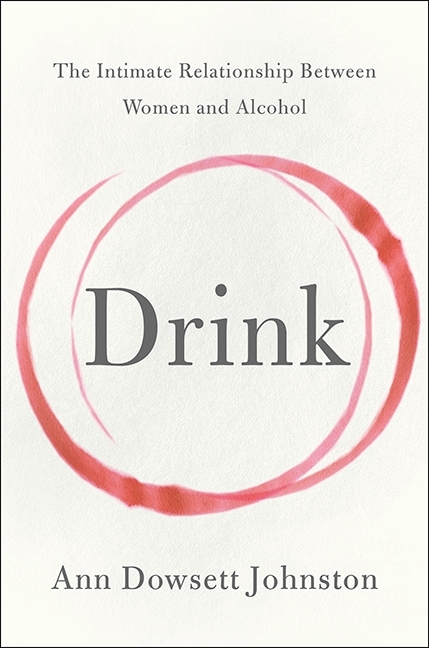 Her book was different than a lot of the other drinking books I’ve read, but I enjoyed the educational component to it. Very eye opening. Look forward to reading your review!